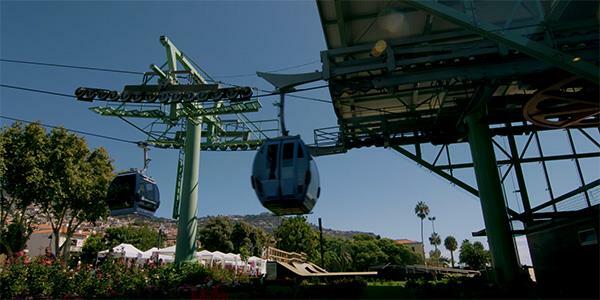 From the old town of Funchal you’ll find the cable car station in the Parque Almirante Reis. From here the cable car zips you upwards to the civil parish of Monte, up in the mountains. As you’re flying up over the island you’ll be greeted with excellent views out over the city of Funchal below you, and the rugged landscape surrounding it. There are 39 cars in total and each one has the capacity for seven passengers. The journey will take around 15 minutes and you’ll be travelling around 3,200 metres upwards to Monte. The little village is home to a large 18th century church, Igreja de Nossa Senhora do Monte, and also to the beautiful Monte Palace Tropical Garden. The area was once a beautiful estate and the palace-like residence was built at the end of the 19th century by Alfredo Guilherme Rodrigues. In time this became a hotel and was eventually donated to a foundation that turned the site into botanical gardens. The pretty palace building still stands at the centre. There is now also a museum, which you are welcome to explore. It can be reached through the gardens and is set out over three floors. 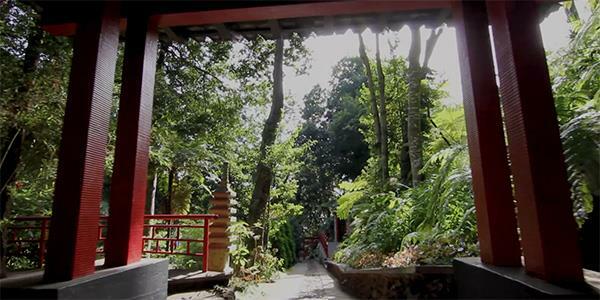 The gardens themselves are a wonderful collection of exotic plants, interesting art and statues, wandering peacocks and koi carp. 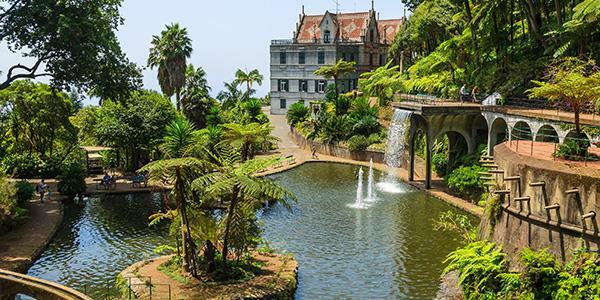 As you explore the gardens you will come across a range of colours and themed areas as well as picturesque ponds and incredible views over Funchal. There is a little café onsite as well, so you can always stop for a pick-me-up. A sled system down the mountain was first initiated at in the 19th century. And not much has changed since then! 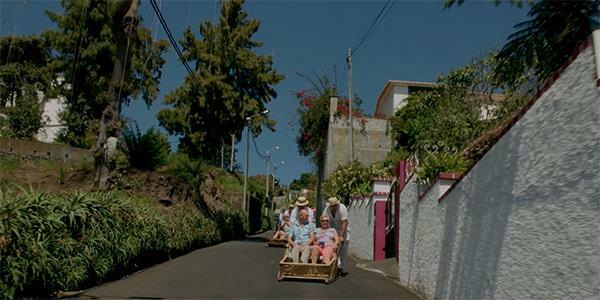 The wicker baskets have seats in them, and are still operated by two ‘drivers’ who steer from the back and have specially adapted shoes that act as brakes. The drivers, or carreiros, wear traditional white uniforms and straw hats. You’ll pick up quite a bit of speed as you hurtle down the slopes of Monte roughly 2km to Livramento. It’s great fun, and definitely worth a go while you’re in the area. Find out how to stay at Cabo Girão and discover all that Madeira has to offer. Enter your details for a free brochure.